Looking for a sip of something hot over the holidays? A cup of apple cider vinegar tea may be just what the doctor ordered. 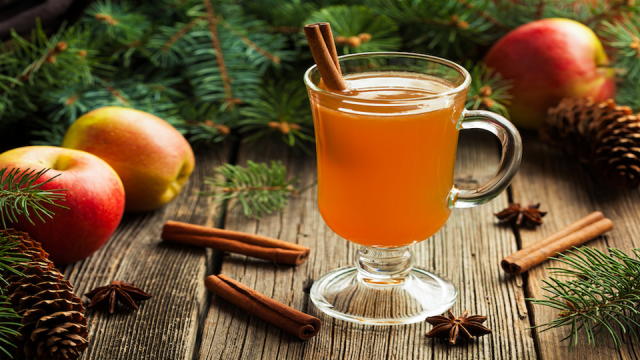 This tea, originally posted in Alternative Daily, contains a delicious blend of cinnamon, lemon, and honey paired with apple cider vinegar—a healthy ingredient known to help lower triglyceride and cholesterol levels. It’s a soothing drink that will surely add to your holiday cheer. Not only does kicking back with a relaxing tea help to lower stress levels, lemon in teas helps to lower inflammation in the body – boosting digestion and aiding bodily functions. Cinnamon is also a powerful and healthy spice, which can help to lower blood sugar levels and help to reduce heart risks. But be careful not to overdo it, as some experts say high cinnamon may increase the heart rate.